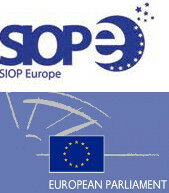 On 20 February, I4M makes an intervention at the European Parliament, on the law project regarding paediatric clinical trials. The speech by Patricia Blanc, at the time of the world’s day on children’s cancer, calls for the attention of the MPs on the lack of innovative and specific treatments for children and adolescents, the scarcity of European clinical trials, and the demand for a simplification of the administrative procedures which at present are time and energy consuming. Also, the introduction of a specific European fund dedicated to the research on children’s cancer. This law will be voted in April 2013. Read the speech and look at the photo album.